A healthy glow is a beautiful thing – but no one wants to have shiny, oily skin. Too much oil results in an unpleasant greasy sheen that melts away makeup, leaves you feeling sticky and uncomfortable, and sets the stage for acne. 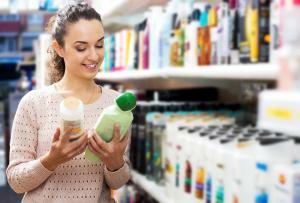 The right face wash can combat this extra oil, but only if you choose your cleanser wisely. A product that’s too weak won’t cut through the shine to clear your skin, and a product that’s too strong will dry your skin out. Try one of the following face washes designed to get you results. A trusted brand, Cetaphil is the face wash many people with oily or combination skin feel comfortable reaching for. Priced at just $10 for an eight-ounce bottle, Cetaphil’s Pro DermaControl Oil Removing Foam Wash is specifically designed to for oily skin. Its ability to clear away pore-clogging oil, makeup, and other impurities is clinically proven. What makes this foaming face wash a great choice? With Cetaphil’s Pro DermaControl Oil Removing Foam Wash, you get a clinically proven, dermatologist-recommend product that’s tough on excess oil, kind to your skin, and easy on your wallet. For more than four decades, OleHenriksen has blended natural botanicals, essential fatty acids and potent actives to create skincare products that exfoliate, soothe, and treat a wide array of common skin issues. If your oily skin needs a fresh start, OleHenriksen’s Find Your Balance Oil Control Cleanser, which sells for around $25 for a five-ounce container, may be the face wash you’ve been searching for. Why do so many people with oily skin consider this cleanser a vital part of their daily routine? If you’re searching for a face wash powered by natural ingredients that can bring balance to oily skin, refine pores and cleanse deeply, OleHenriksen’s Find Your Balance Oil Control Cleanser is a smart pick. 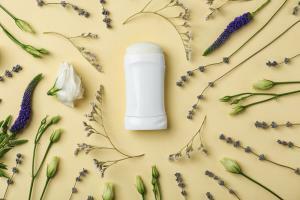 Sunday Riley may not yet enjoy the same level of name recognition as some of the major players in the skincare industry, but this pioneering brand is quickly developing an enviable reputation and a loyal following. Its cutting-edge formulations meticulously combine advanced actives with purified botanicals to produce luxurious, high-performance products. For those with oily skin who consider high-quality skincare a worthy investment, Sunday Riley’s Ceramic Slip Clay Cleanser is a fantastic option. A four-ounce bottle generally sells for around $45. While it might be a bit pricier than some of its competitors, fans of Sunday Riley’s Ceramic Slip Clay Cleanser insist that it’s worth every penny. After all, this hardworking product goes beyond cleansing; it also balances and tightens to produce skin that is supple, soft and simply beautiful. When you want to make a fantastic first impression, greeting the world with a healthy, glowing complexion is key. It gives your self-confidence a welcome boost, and when you feel better about yourself, it’s easier to put your best foot forward. Why let oily skin or self-consciousness about your complexion hold you back? With so many fantastic face washes for oily skin to choose from, you’re sure to find an effective cleanser that can eliminate excess oil, balance your skin and help you put your best face forward. Interested in face washes for oily skin? Start a search today. What Are the Best Shampoos for Different Hair Types? Your favorite beauty products have been around for centuries. Eyeshadow, lipstick, nail polish, and perfume all date back to Ancient Greece.